Reliable. Comfortable. All-wheel drive. Those are just some of the words used by both owners and the automotive press to describe the 2017 Toyota Sienna. The popular minivan can be found on the 2017 Toyota Sienna LE lease specials at Elmhurst Toyota Scion. Save big on the lease price, from the low down to the easy monthly payments. Sales tax is also low since you only pay on the portion of the minivan you finance. Other advantages when you lease a Toyota Sienna include lower repair costs and no trade-in hassles. Stop by now and get to the full details from one of our friendly sales or financial representatives here at Elmhurst Toyota Scion. While here, get the latest information on the 2017 Sienna. Check out the standard equipment found in all models. Make yourself comfortable in the driver’s seat, which is height-adjustable. Or access the many features of your iPhone thanks to Siri Eyes Free, which is new for the model year. Since you can have more car for less money each month via a lease, why not check out the higher trim levels like the feature-rich SE Premium and the plush Limited? Also schedule a test drive. 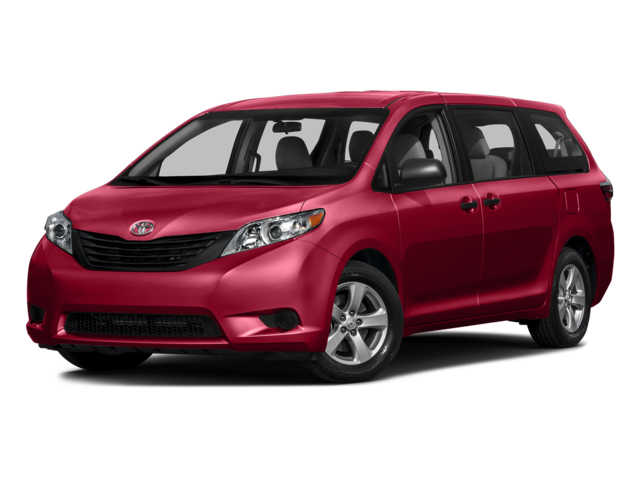 Find out why automotive experts agree the Sienna delivers both a lively ride on the road without sacrificing passenger comfort. Fuel economy is also excellent with front-wheel drive models getting 21 mpg in combined driving and 19 mpg combined with all-wheel drive. So contact us at Elmhurst Toyota Scion! Let our friendly staff warmly work with you to lease the Sienna. We’ll figure out a price and payment plan that’ll fit your budget just right. Lease a new 2017 Sienna LE for $309 a month for 36 months with $3548 due at signing, which includes first month’s payment, $2898 down payment, $0 security deposit and $650 acquisition fee. Does not include, taxes, license, title fees, insurance and $172.15 doc. fee. Closed-end lease. Example based on model #5338 with FE 2T. Total Manufacturer’s Suggested Retail Price $33689. Monthly payments of $309 total $11124. Capitalized cost of $32631 based on down payment and dealer participation, which may vary by dealer. Payment may vary depending on model, equipment choice, and final transaction price. Lease-end purchase option is $17855. Customer responsible for maintenance, excess wear and tear and $.15 per mile over 12000 miles per year. To qualified Tier 1+ customers through Toyota Financial Services. $350 disposition fee due at lease end unless customer purchases vehicle or decides to re-finance through Toyota Financial Services. Subject to availability. See participating dealer for details. Offer ends 12-04-2017. Does not include College Grad or Military Rebate. ToyotaCare covers normal factory scheduled service for 2 years or 25,000 miles, whichever comes first. See Toyota dealer for details and exclusions. Valid only in the continental U.S. and Alaska. 0% Annual Percentage Rates (APR) for 60 months available to eligible customers who finance a new, unused, or unlicensed 2017 Sienna from Toyota Motor Sales, USA, Inc. (TMS) and Toyota Financial Services (TFS). Specific vehicles are subject to availability. You must take retail delivery from dealer stock. Special APR may not be combined with any other Customer Cash Rebates, Bonus Cash Rebates, or Lease Offers. Finance programs available on credit approval. Not all buyers will qualify for financing from Toyota Financial Services through participating dealers. Monthly payment for every $1,000 financed is 0% – 60 months = $16.67. Bonus cash from Toyota Financial Services on TFS lease contracts only. Must be applied to the transaction. No cash payment will be made to consumer.See your Toyota dealer for actual pricing, annual percentage rate (APR), monthly payment, and other terms and special offers. Pricing and terms of any finance or lease transaction will be agreed upon by you and your dealer. Any pricing does not include, taxes, license, title fees, insurance and $172.15 doc. fee. Special offers are subject to change or termination at any time. Offer ends 12-04-2017.